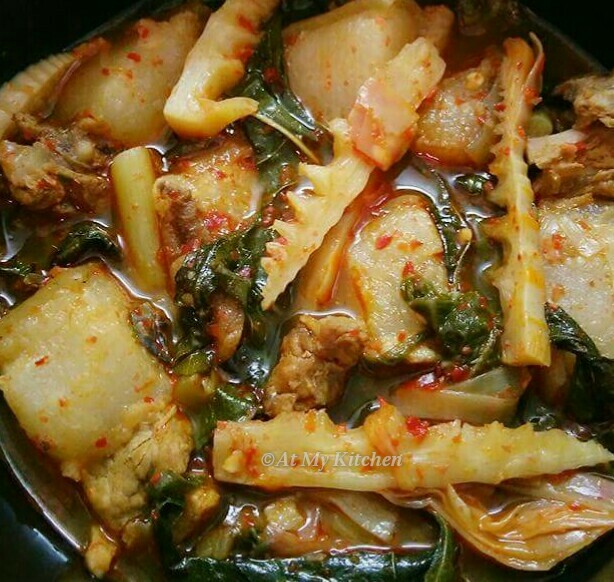 A Naga Style Pork dish with locally available green leafy vegetables and fermented bamboo shoots. In Naga Cuisine we have a variety of pork dishes. From fresh to smoked Pork and there are variations in each preparations. Naga Cuisine recipes are very simple and it does not involve difficult cooking techniques. The recipes are quite easy to make and at the same time very healthy and nutritious and that’s the beauty of Naga Delicacy. Likewise this recipe is a zero oil dish. 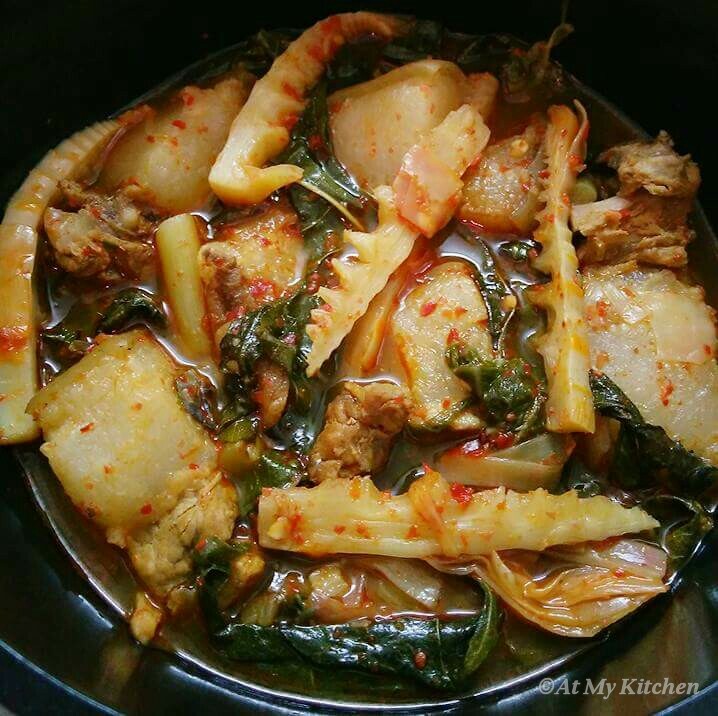 Adding Colocasia Leaves, stem and Mongmong Tu (Mezenga Pata) in this recipe has taken the dish to another level with the beautiful flavours coming out of the Mongmong Tu (Mezenga Pata) and the fermented bamboo shoots. It is an exotic dish with blast of flavors and taste divine. I hope you liked the recipe. 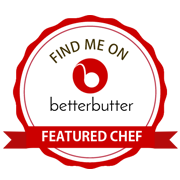 Please do try out the recipe and share your feedback. I would love to have your feedback. In a small bowl take some hot boiling water. Break the dry red chillies in it, add the Raja Mircha, cover and soak for about 10 mins. Drain the water from the chillies and pound it in a mortar and pestle into a coarse paste. In a pan add the pork, pounded chilly paste, salt to taste and enough water covering the pork. Bring it to a boil and cook till the pork is 40-50% cooked. Add the shredded bamboo shoots and continue to cook till the pork is completely cooked. Add salt and water if required, add the leafy vegetables but to not stir and continue to cook for about 10 mins. Adjust the gravy consistency as per your requirement and take off the heat.